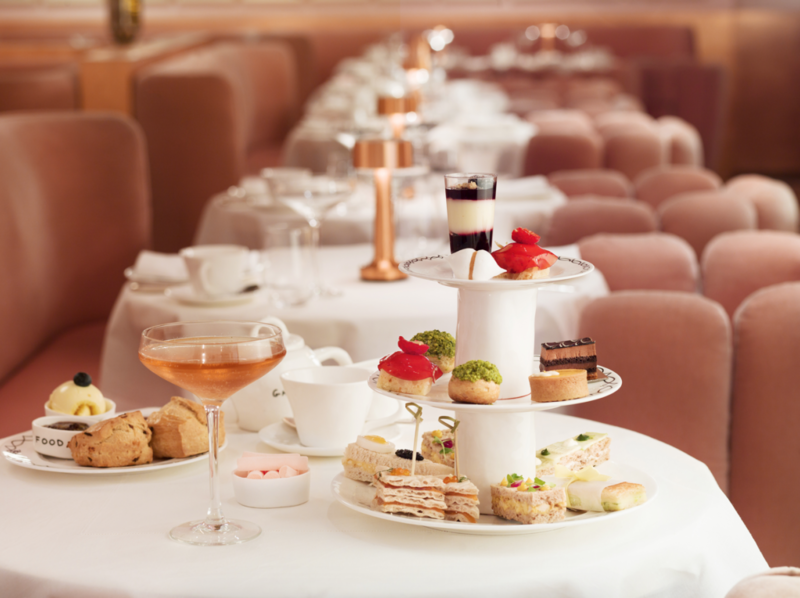 If you’re looking for a traditional high tea with an elegant backdrop Claridge’s is the place to be. Situated in the heart of Mayfair this bespoke high tea has been famous in London for over 150 years. Set in the splendour of Thierry Despont’s magnificent Foyer, inspired by the 1930s’ heyday of art deco, afternoon tea at Claridge’s is truly a magical experience. a unique combination of art and food. 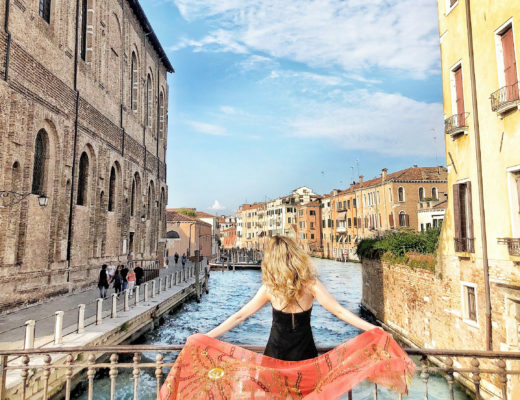 With a menu featuring pastries, macaroons and specially baked cakes (set to a backdrop of beautiful music) this place is totally unique and amazing. 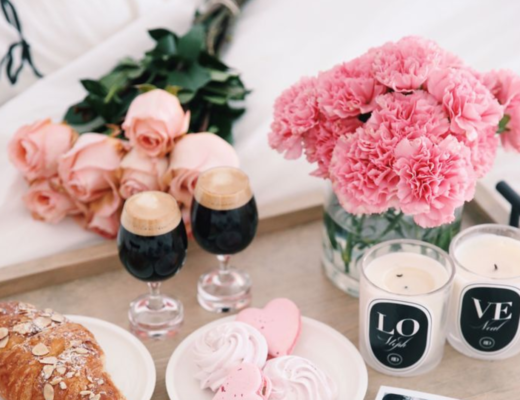 Located in a dreamy baroque dining room built in 1704 for Queen Anne, this setting is both relaxed and elegant for afternoon tea. 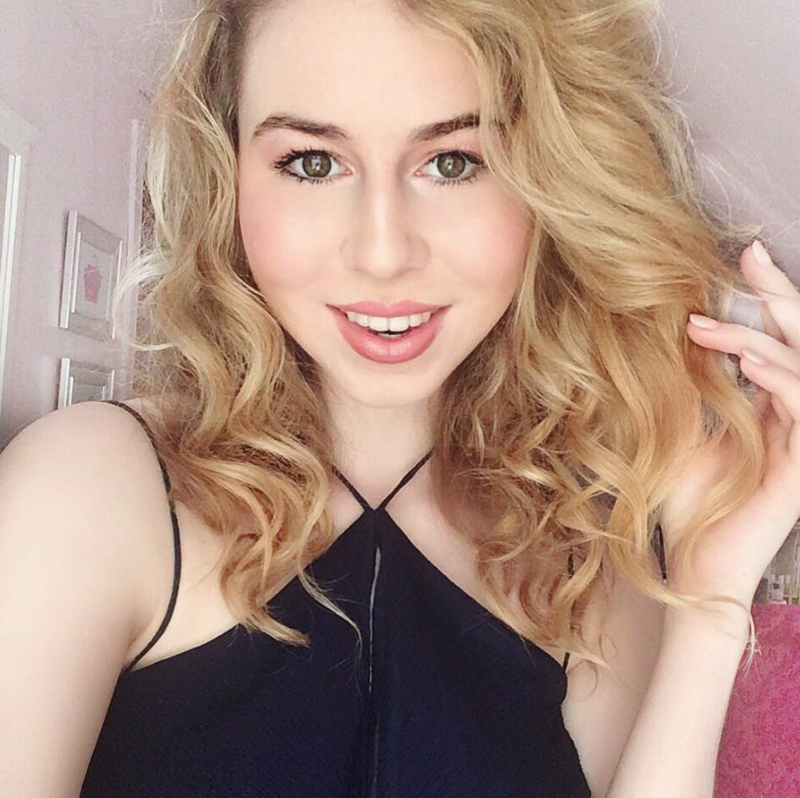 The only royal venue in London where you can enjoy a traditional tea, The Orangery features stunning soaring ceilings and a magnificent backdrop for a menu of delicious English dishes. 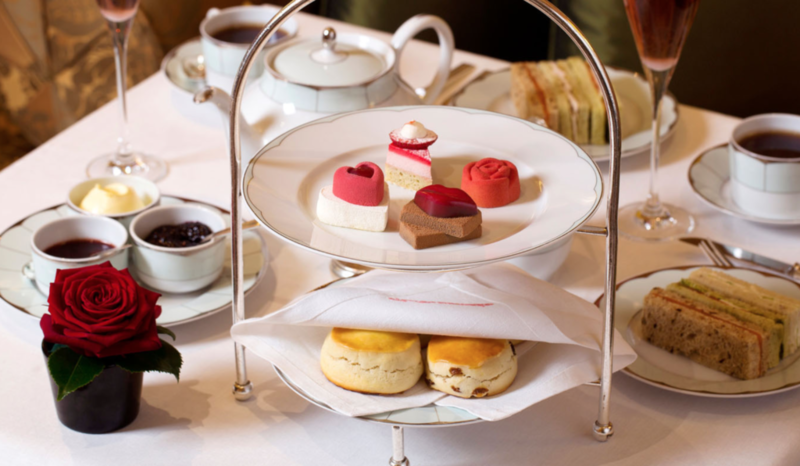 Since opening in 1931, The Dorchester has served the finest afternoon tea in London. 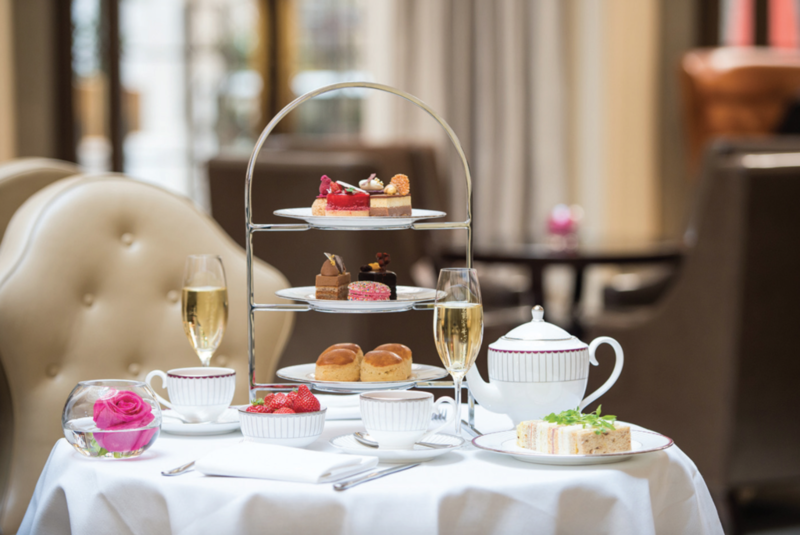 Set in the heart of The Dorchester at The Promenade, this opulent and welcoming setting turns high tea into an indulgent and unforgettable treat. From seasonal specialties to charming teas created for any guest, each selection celebrates the best in British heritage. 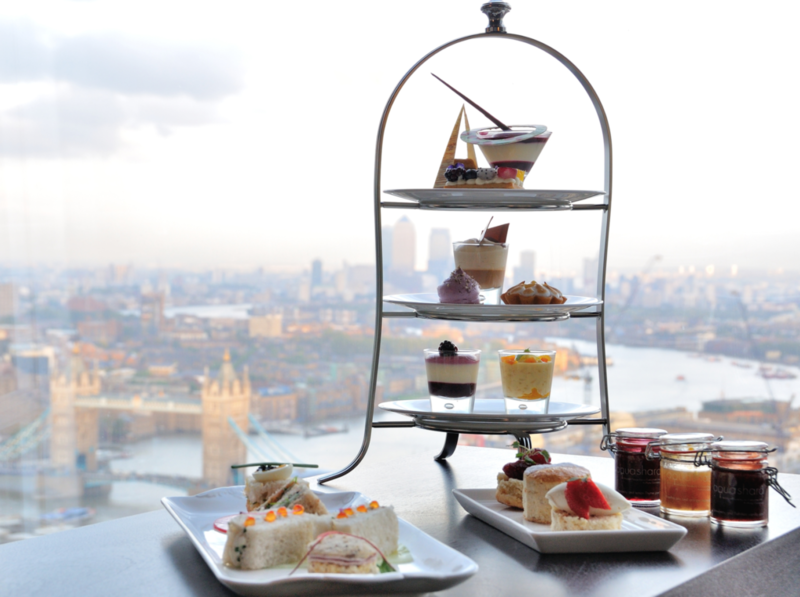 Escape 128 metres above London by going for afternoon tea at Shangri-La’s Tîng located at the Shard. Showcasing sweeping 360-degree views across the capital, the vibrant space effortlessly captures the aura of Chinese culture in an elegant and modern interpretation. 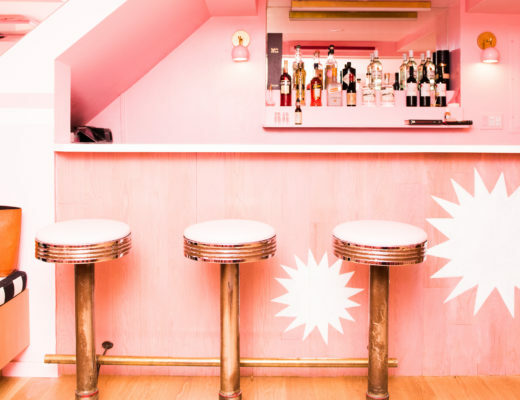 With a traditional English tea and Asian-inspired alternative available, this exclusive and glamorous spot is a must. If you’re looking for a high tea venue that truly dazzles then The Crystal Moon Lounge located in the Corinthia Hotel is the place for you. Illuminated by a spectacular Baccarat Chandelier and adjacent to The Garden Lounge, the central position and effortless style of The Crystal Moon Lounge make it the perfect venue for Afternoon Tea. Tantalising cakes and fancies, inspired by the season, eclectic seating and bespoke William Edwards’ fine china tea sets, create an intimate space to linger over a delicious tea. 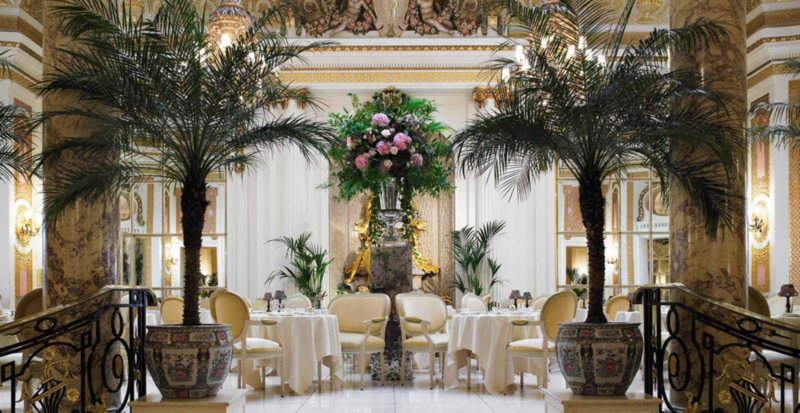 For the most charming traditional Afternoon Tea in London look no further than the spectacular Palm Court located at The Ritz. Located in Piccadilly this gorgeous room is lit with glittering chandeliers and elegant mirrors, which add a light and style to your afternoon tea experience. 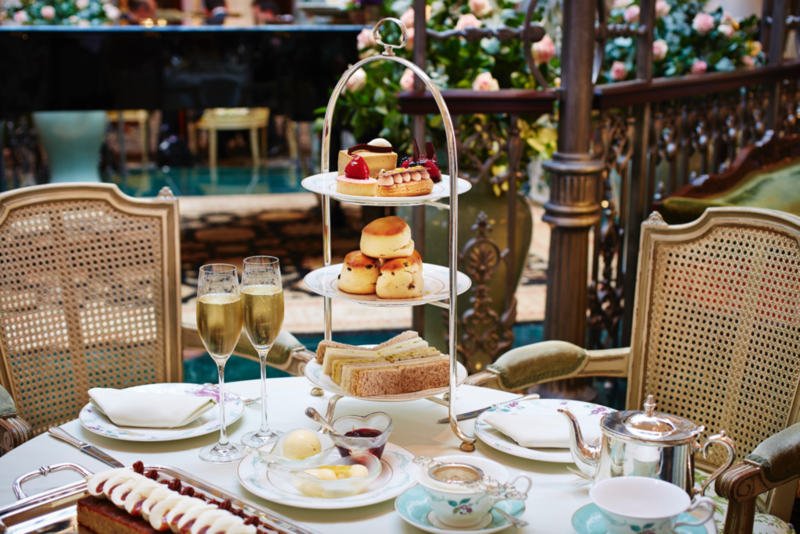 The elegant ambiance is complimented by a musical ensemble from The Ritz’s resident pianist and harpist – the final ingredient to ensure your afternoon tea, is quite simply, unforgettable. 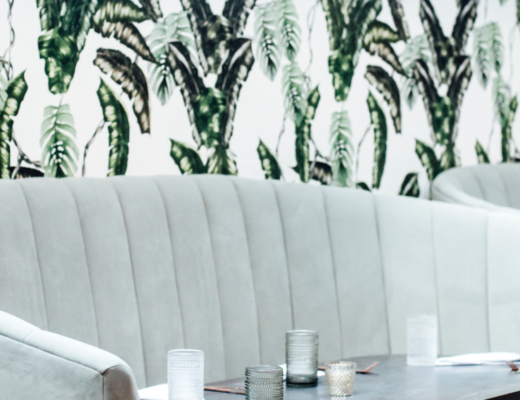 This luxury hotel in London enjoys an unrivalled setting, where the elegance of Mayfair, energy of Soho and sophistication of St. James combine. 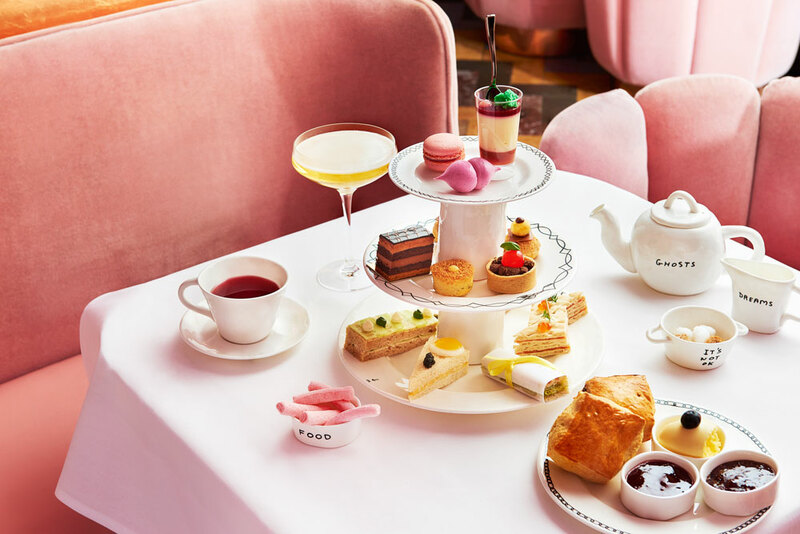 Featuring a modern twist on nostalgic British treats, Hotel Café Royal’s award winning afternoon tea is presented masterfully in the gilded splendour of the Oscar Wilde Bar, originally established in 1865 and the place where Oscar Wilde himself dined daily. If you love French perfumer Diptyque you’re in for a treat! Hotel Café Royal’s chefs have taken inspiration from the iconic brand’s scents to create a new menu of delicacies available until mid November. 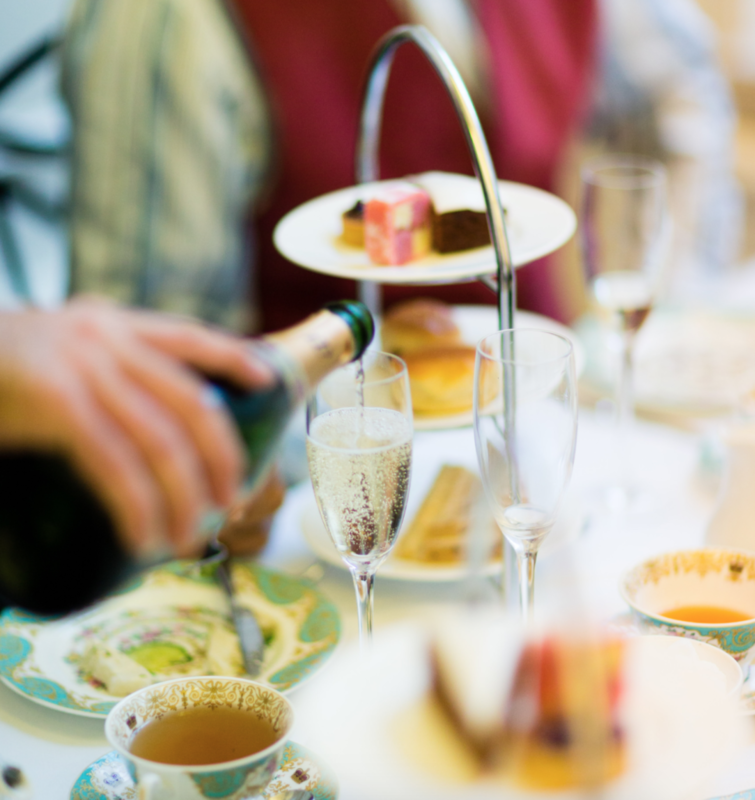 Elegant and refined, the Diamond Jubilee Tea Salon is the home Fortnum & Mason’s award-winning afternoon tea. 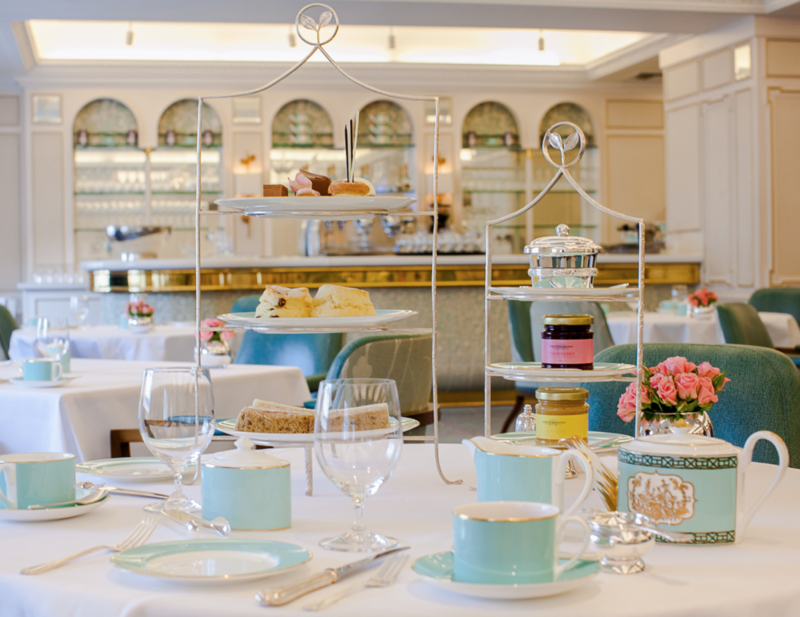 Fortnum & Mason is famous for their tea selection with features flavours ranging from all over the globe. 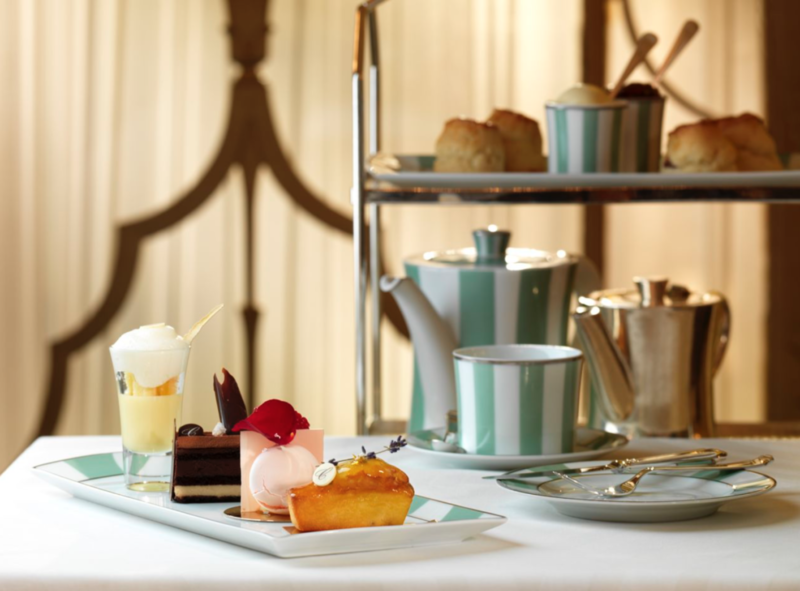 Be sure to sample their iconic scones for the ultimate Fortnum & Mason high tea experience! Afternoon tea at The Savoy takes place inside a winter garden gazebo that feels magical and truly beautiful. The Savoy’s Executive Pastry Chef, Ludwig Hely, creates unforgettable seasonal pastries to go along with a range of teas that will be a treat to the tastebuds. 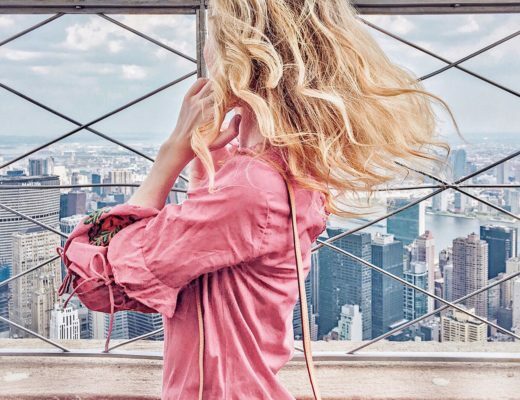 Be sure to stop by Savoy Tea a bijou tea store, located in the Upper Thames Foyer where you can purchase teas to experience anywhere at anytime. 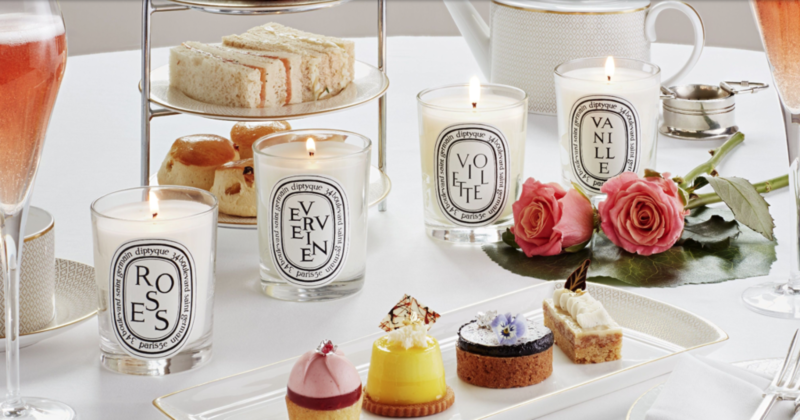 Each of these bespoke high tea designations will offer you an unforgettable luxury experience. 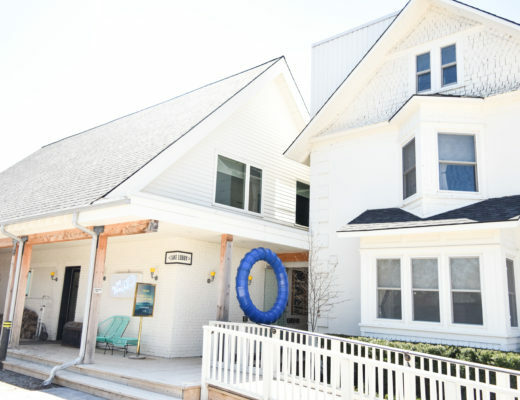 Now the only thing left to do is make a reservation!